Val Kelly is a musical chameleon, whose repertoire stretches from rock, pop, soul, blues to jazz. 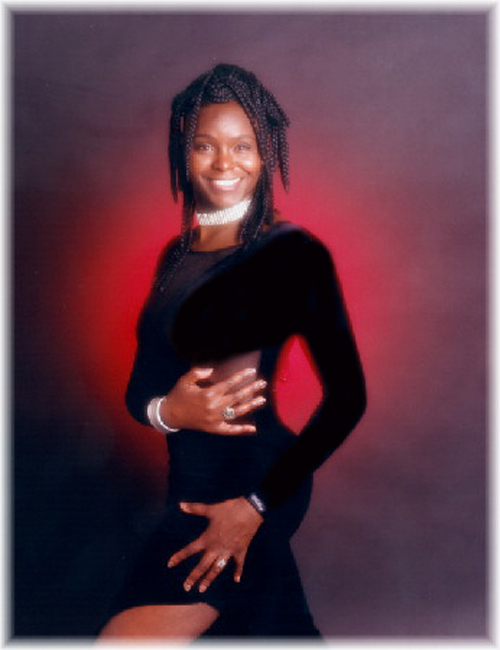 She fronts jazz and soul duos, a quartet and high energy dance band Freespirit. Val Kelly has over 1500 gigs to her credit. She is a superb singer who has performed throughout the UK, Europe and as far a field as S.E Asia – from intimate restaurant settings, clubs and pubs, private functions to large summer festivals. She has been the support act for UK jazz legends Dame Cleo Lane and Sir Johnny Dankworth, US pop singer Rita Coolidge, Thai popstar Nat Myria…entertained many personalities from film and TV and artists including Julian Lennon (Monaco), Sacha Distel (Val D’Isere, French Alps), Mick Hucknall of Simply Red (London) and Jamiroquai (Thailand)…and is one of the few in the UK who can honestly say that they have entertained the legendary Godfather of funk and soul – James Brown (for a whole evening in Beirut). Freespirit are a five to seven piece high energy dance band, whose extensive repertoire of 60s to present day dance music has entertained and set audiences alight across the globe since 1995. Fronted by charismatic and visually engaging lead vocalist Val Kelly, a musical chameleon who knows how to ‘work the crowd’ like no other, this seasoned, experienced and passionate act have been the highlight of countless events – from Paris to Addis Ababa, Beirut to Monaco, Manchester to Murcia, Oman to Bangkok, Lucca to Kuala Lumpur. Freespirit offer a fine blend of styles from across the eras, where every song is known, every song is recognisable. Comprising of highly talented musicians who have performed alongside UK and world renowned artists including Van Morrison, Annie Lennox, Isaac Hayes, Nina Simone, Herbie Hancock, Michael Buble, Corinne Bailey Rae, Katie Melua and Hot Chocolate, Freespirit’s musical versatility has seen them comfortably fit into any environment and event, from the most intimate and exclusive restaurants and private members clubs in Mayfair to open air festivals in Europe to the wildest nightclubs and beaches in the Gulf of Siam. With vast experience of private, corporate and wedding celebrations, Freespirit never fail to deliver an infectiously entertaining live show. Whatever and wherever the occasion, whatever the age range, a good time is guaranteed to be had by all. This is the cooler, jazzier, soulful side of Freespirit, more appropriate for intimate corporate and private functions, poolside and stately soirees, dinner, champagne receptions, Sunday brunches, fashion shows, networking events, wedding breakfasts, clubs and restaurants. Often hired to welcome guests at large corporate events and whenever non-intrusive but live background music is required, they are also available as a quintet (with sax). Backed by some of London’s finest jazz musicians – Henry Thomas (bass), Dom Pizzinat (drums), James Cheetham/Rob Terry (keyboard), Carl Sterling (sax) – songstress Val Kelly’s deeply warm and sultry vocals are said to be reminiscent of the likes of Nina Simone and Julie London. Highlights include: the Jazz FM, Soho, Nice-Cimiez jazz Festivals; St Tropez fashion show; post race entertainment at Monaco Grande Prix. Residencies include Cafe de Paris, Grand Hyatt La Manga Club Spain, Windows Hilton Park Lane, Le Papagao St Tropez. Dom! You have been fantastic! Every single guest came to me asking where I had found such a great band. I have seen my uncle crying for the first time, and it was because his wife who has been bound in a wheelchair for many years was dancing to the sound of your music!!! Thank you for you help and enthusiasm with our event Burlesque Brilliance on March 1st. We have received a fantastic feedback from our guests. On speaking to a number of them, after the event, I have heard nothing but praise for your performances. Thank you for helping the event run smoothly, for your touch of class and for adding the wow factor to the evening. I know that the Prince’s Trust representatives were particularly impressed with your performance. I would like to maintain contact with your band and I will be inviting you to perform at future events that I am leading. I am writing to you to express my sincere thanks for what was a truly memorable evening for our recent Valentine’s dinner Dance on the 14th of February at which you played. Your performance as a band has been truly outstanding and also your connections with the guests excellent. Your energy, sound, image and repertoire was inspiring – of which many guests kindly commented. You really must be congratulated for what was a truly world class performance, and I can assure you that your name will travel throughout Sheraton. I wish you continued success and fame for a prosperous future. Thank you for a fantastic show last night. We had a really great time and received plenty of good comments about the quality of the band and the wonderful party mood you created for us. It was always going to be difficult to get people on the dance floor early when the focal point of the evening was networking and business and the guests were not couples. However, you are a class act and you provided that little bit extra something so that people could enjoy watching and listening to you even if they were not able to get on the floor and strut their funky stuff themselves! I cannot remember seeing so many people still in the main room at midnight so you can take the credit for creating a really good atmosphere that kept us buzzing until the early hours. Thank you and I hope to be able to work with you again in the future.